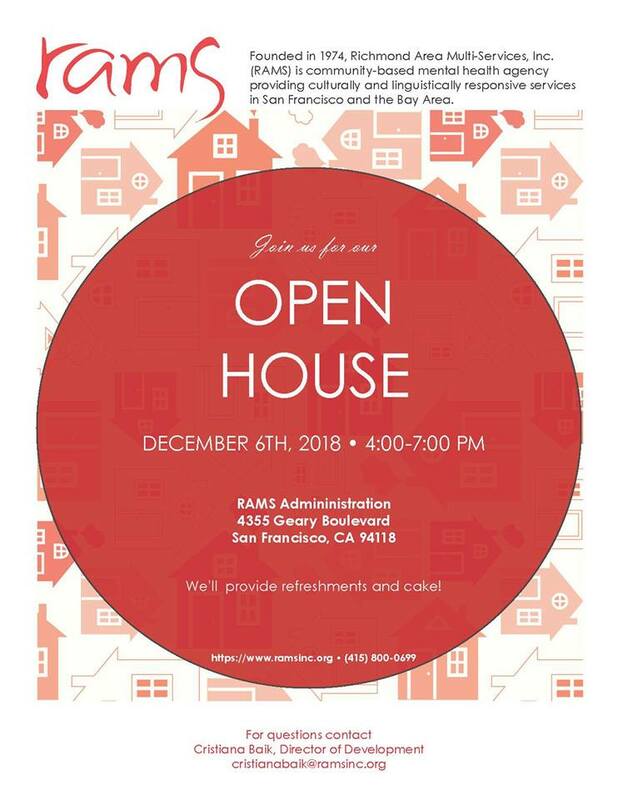 Please come by and join us on December 6, 2018, from 4-7 p.m. Located at 4355 Geary Boulevard, on the corner of 8th Avenue. We'll provide delicious refreshments and food. If you're driving and/or carpooling, there is metered street parking on Geary (our admin office is on the corner of 8th Ave/Geary), as well as some side parking available.